Cemetery Pobrežje was opened in 1879. 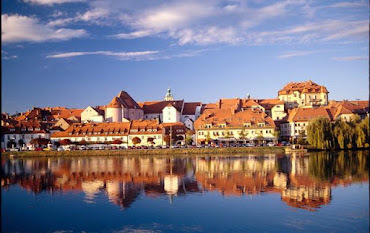 With its rich 130-year history it is a part of the historical and architectural image of the Maribor city. This is a place of memory which appears in the list of the significant European cemeteries. Its calmness, tidy trails, green gardens and benches allow us to step back from the noisy city for a moment and think about memories in silence. Our desire is to create a Park of Memories at cemetery Pobrežje. Like a green oasis of peace in the middle of the city with a rich cultural and historical heritage. Town Cemetery was purchased in 1879 in order to gain more land for non-Catholic’s and poor, which was late in 1914 blessed by Catholic Church. Magdalena Cemeterywhich was establish for the Catholics. Franciscan Cemetery is the youngest and was establish in 1927 solely for Franciscans. There are three burial grounds connected to the war field heritage. The first one commemorates soldiers from World War 1; the second soviet war prisoners from 1941 – 1942; and the last one commemorates partisans warfare.